Well, this is it. Here we are at the end of 2011 and it was one hell of a year. 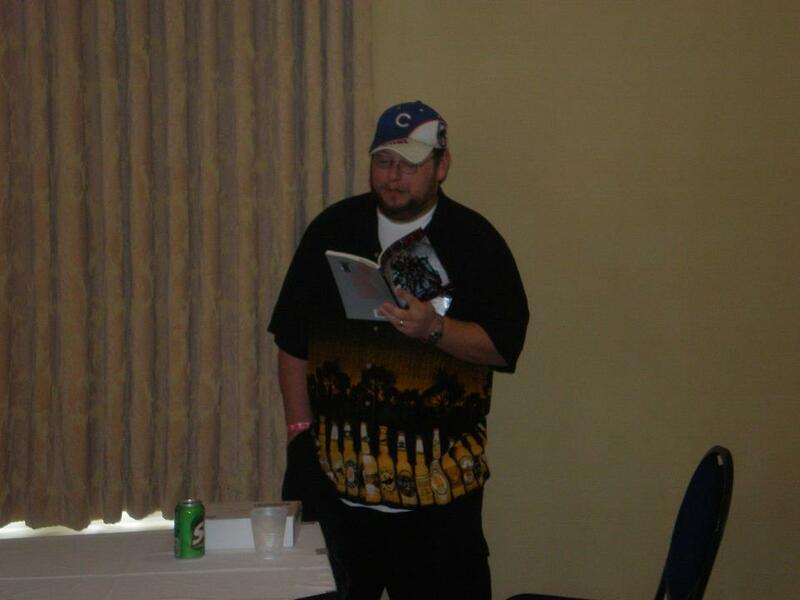 When the year first started, I had just finished out 2010 with a fun reading at Mo*Con IV and a few rejection slips from editors. That was pretty much my writing career till 2011. Considering I didn’t start writing until mid 2010, I didn’t expect much. I heard all the stories and such about, ‘doing your time’. Well, I guess I did enough time, because 2011 was a very good year. The first half was slow, but once April hit, all bets were off. 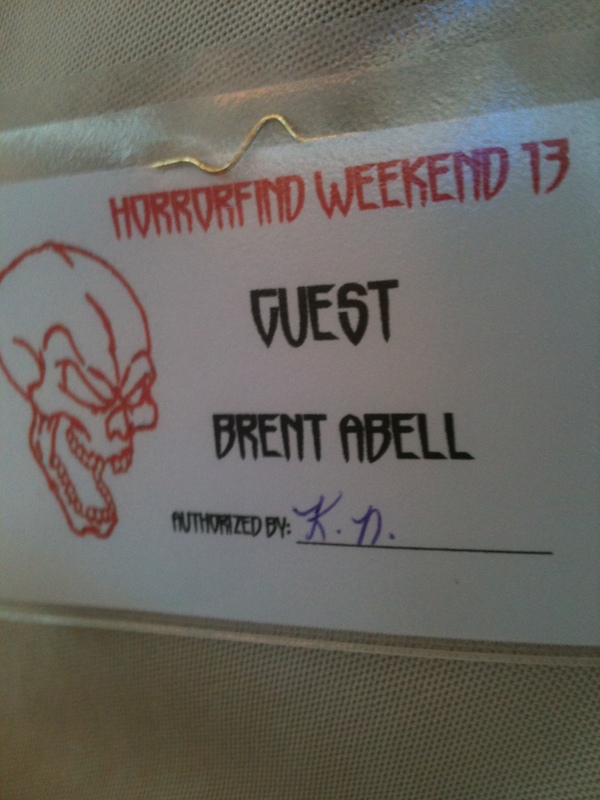 It started in February when I was given the chance to read at Horrorfind 13 in September. It meant I had to skip Mo*Con, but I was ok with that for this chance (and to the guy who does the selecting – thank you, I still say I owe you more and you know who you are). I now had a conundrum…what should I read since I didn’t have anything published yet? April brought what I thought was the answer when my first acceptance came for “Stonewall” (that anthology has been cancelled and brought back from the dead to be published at some point in 2012 I hope). It was followed closely in May when “A Winter’s Feast” was accepted. Stories went out and rejections came back for a few months. Late summer and early fall would prove to be a storm. I tried to spend most of the summer working on my novella, “In Memoriam” (I am preparing to get the first three chapters out based on the synopsis I sent out). The short stories were on the back burner, but some didn’t want to be buried. Through the next three months I had eight more stories accepted. I only set myself a goal of five. Come on, let’s be realistic, it was only my first full year. So, if you want to see what’s coming or what is out to buy, check out the Biblio page. There is even a nonfiction piece that will be out in January and I will give you more info when I get it. That brought me to Horrorfind 13. It was the most fun I could have had. I drove with my partner in crime Wesley Southard to the great state of Pennsylvania for a weekend of books, booze, and good friends. I learned tons from people I hadn’t seen in a year and from some new friends as well. Then I had the reading. I wish I would have done better, but I was nervous and it showed. I decided to read “A Winter’s Feast” for my time in the ring. I picked it because it was my first story to see print and because it was the only thing I had the book for. It was sweet to be up there and read from the book. I highly recommend it! The year ends and I’m gearing up for 2012 with the work on the novel and another novella or two. The short stories will keep coming and ten is the goal for 2012. I will take some of the stories plus some new ones for a collection or two in the fall (I hope if things go well). I have not forgotten the blog followers, you guys have a story coming just for you. The thank you’s for 2011- My wife (my pre-pre-reader who busts me up before Troy gets me), kids, and pug: you guys are the greatest family a man can have. To the following for their advise: Wesley Southard, Brian Keene, James A. Moore (who told me to stop screwing with “In Memoriam” and get it out there), Tim Lebbon, Bob Ford, Kelli Owen, Christopher Golden, and to John Everson and Jeff Strand for the interviews. Troy Green for being my pre-reader from hell (and kicking my stuff in the teeth – you make it better) and to Armand Rosamilia (Rymfire Books), Jessica A. Weiss (Wicked East Press), Eric Beebe (Post Mortem Press), and Jessy Roberts (Pill Hill Press) for trusting my work and putting it in print. Lastly, I want to thank all who have read and followed the blog this year, 2012 will be even better! The top ten books of 2011 will be up on New Year’s Eve or New Year’s Day for you to take a look at. If you haven’t read some the books on the list, go get them and enjoy the rides they will take you on. 2011 was amazing for indie authors. Here is my roundup post – good luck to you in 2012!